I have to start this off with a disclaimer - the information below may be glaringly obvious to a community of sewers, and I hestitated writing it...but maybe someone out there is in the same boat! 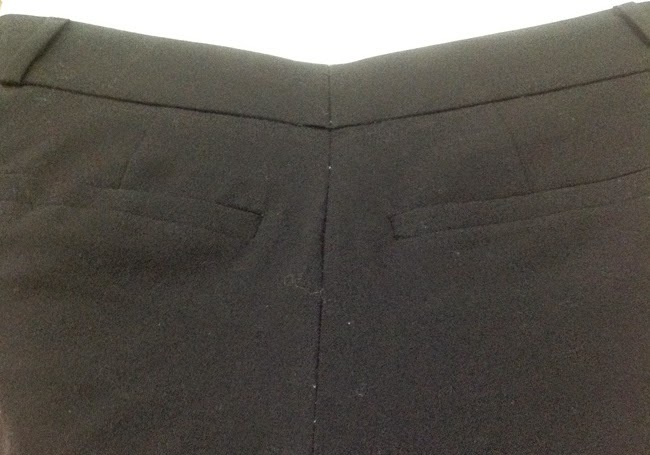 Ready-to-wear trousers always have the same fit problem on me - snug in the bum and too wide around the waist. 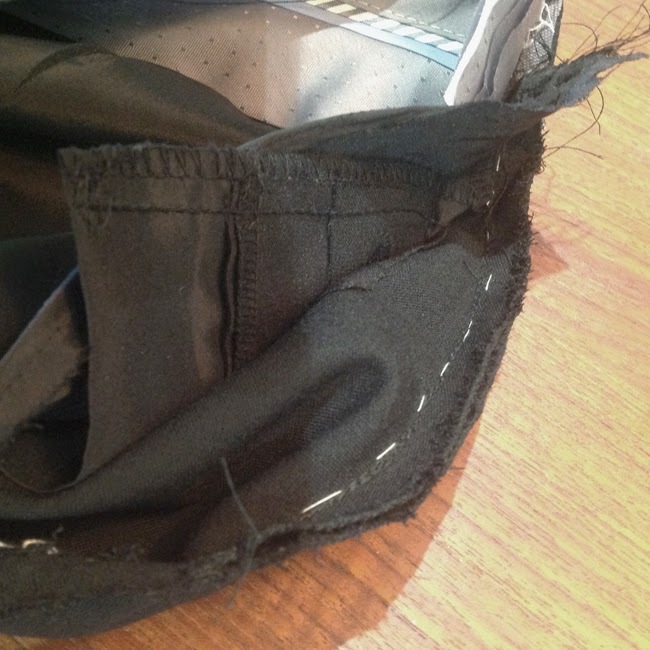 I usually bring them to a professional to take away the extra fabric in the waistband and centre back, rather than doing it myself - it always seemed to scary to try. Last week-end I finally broke down. 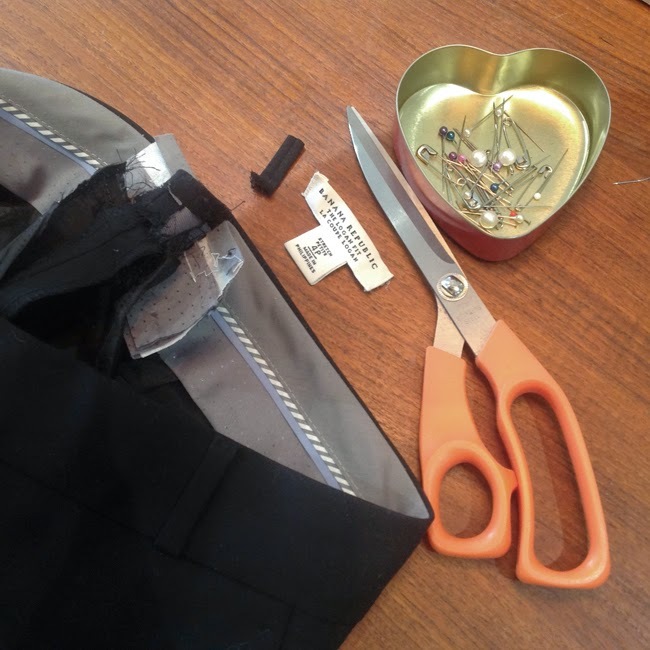 I armed myself with my seam ripper, a pair of scissors and a strong cup of coffee and attacked the centre back of a waistband on pair that I've been holding up with a belt for too long. - When you are trying them on, walk around, sit down, do a downward dog, dance a jig...and do it again! If you have the same issue with your trousers, and you haven't tried this already, I promise it really is straightforward. I wish I had done this years ago! How do you guys feel about alterations? 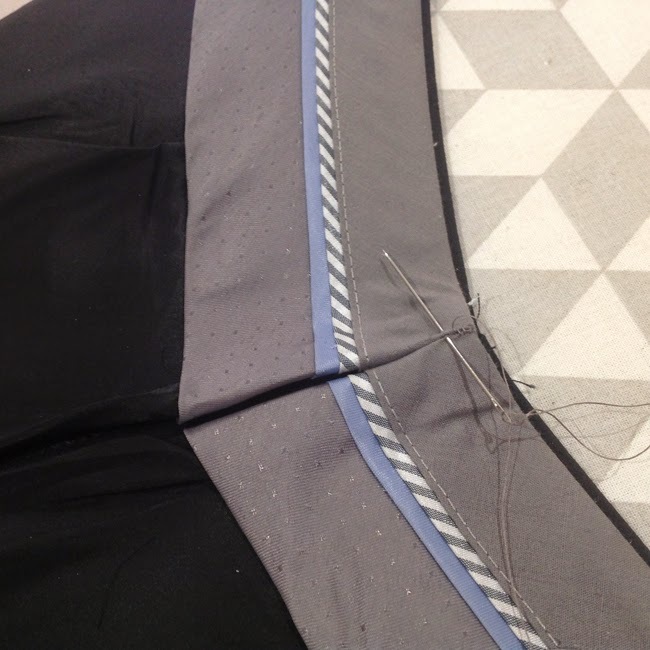 I hate doing alterations, but I always need this same one. You've inspired me to dig out the pair of trousers I have waiting for this treatment! Ya, you go girl! 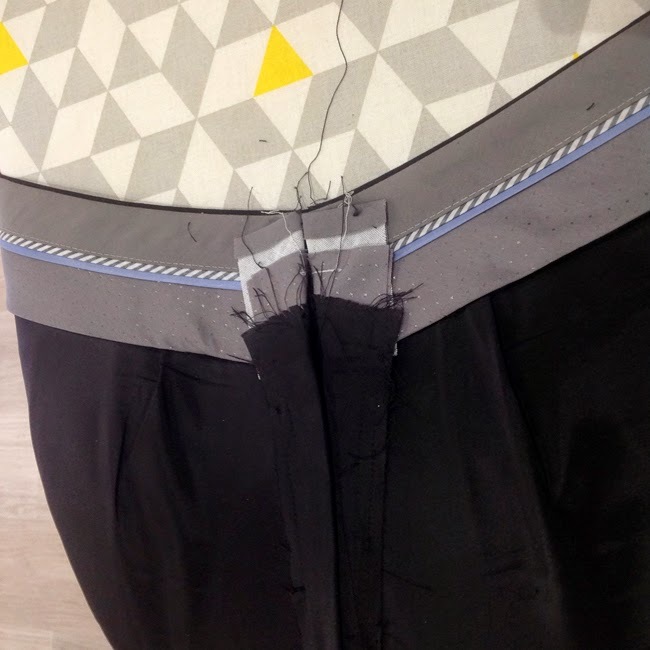 Here's to perfectly fitting pants! Congrats on the fix. They look good. I have the same problem and even told my husband that the elastic that are in children's pants should be added to adults. That has been a fix for me and lets the pants still have a give. Ahh wouldn't it be amazing if adult pants came like that! Definitely would make sitting at a computer all day more comfortable too. I'm going to try a pair with elastic - thanks!